The Clow Safety Harness 'Fall Arrest Double Webbing Kit' comes with Harness, Carabiner and Double Webbing Lanyard with Snap Hook and Energy Absorber, all supplied neatly and conveniently in a Clow Kit Bag. Clow Loop Fastening Safety Harness (CEP30). 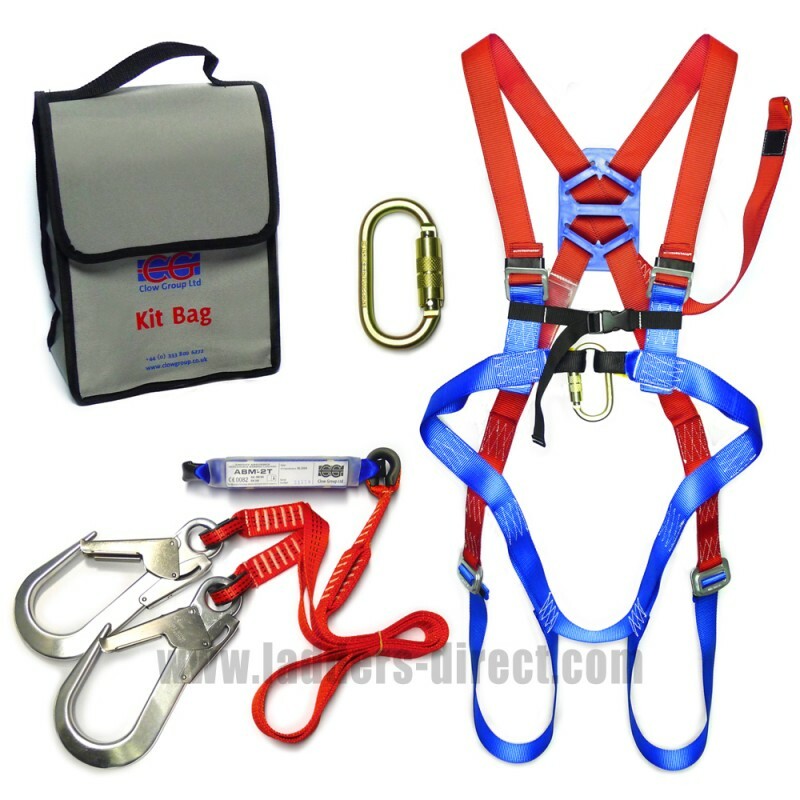 Equipped with front and rear attachment points (rear point for use when harness used as fall arrest) and adjustable thigh, shoulder and chest straps. Energy Absorber with Double Webbing Lanyard & Snap Hooks (CEABM-2T). Fitted to the rear buckle of the harness, the one metre double webbing lanyard comes with a snap hook for attaching to an anchor point and energy absorber, helping reduce the sudden impact that would occur if only a harness and lanyard were in use. Minimum ground clearance from anchorage point is 6.5m. Carabiner (CEAZ011T). The carabiner is used to affix the energy absorber to the rear of the harness.